As a province in the region of the Mekong Delta, Bac Lieu is a less-visited destination. It is only known for anecdotes relating to the house of Bac Lieu Dandy. However, it is also a place possessing a largest-scale windmill field in Vietnam. Bac Lieu is about 290 km from Ho Chi Minh City and it takes 5 hour drive. You could choose prestigious car makers running this route such as Phuong Trang, Hoang Yen, Kim Yen with the price ranging from 8.5 USD to 9.5 USD. From the north, you could travel by airplane with the route Hanoi- Can Tho and then take a coach to Bac Lieu with some brands such as Phuong Trang, Tuan Hung, Vu Linh with the price of around 3.5 USD to 4.5 USD. The price of flight ticket is around 85USD to 121 USD. The total time for transferring is around 4h 30 minutes. 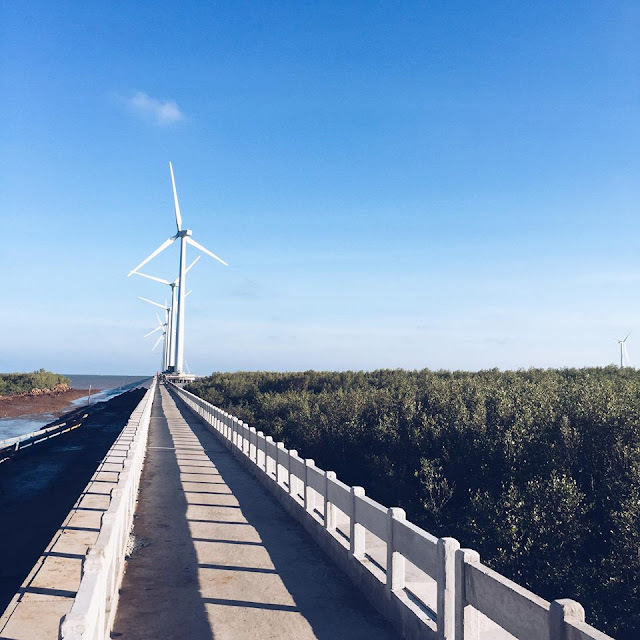 From the city center of Bac Lieu, you will follow Cao Van Lau Road towards the sea at Bien Dong A Hamlet, Vinh Trach Dong Commune which leads you the field of windmill. The distance from the city center to the factory is about 20 km, but from dozen of kilometer distance you could see turbine pillars assembling with rotating propellers as huge pinwheels. 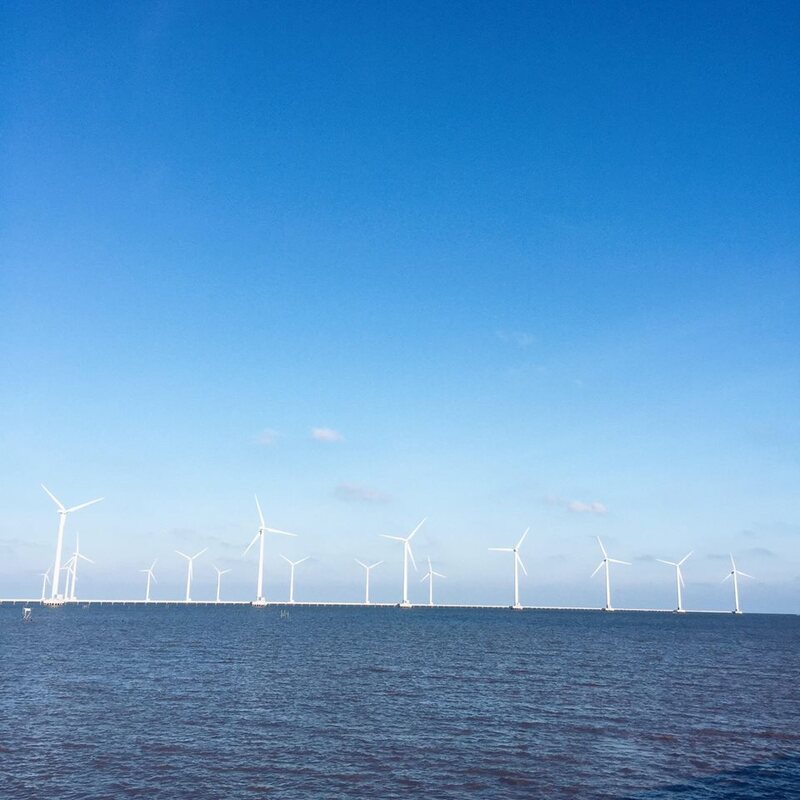 There are total of 62 towers and wind power turbines located on the sea. In order to have nice pictures here, you should travel in the afternoon at around 4 pm because at that time, the sun shines towards turbines. The way to windmill field is paved so there is not much difficulties when travelling. 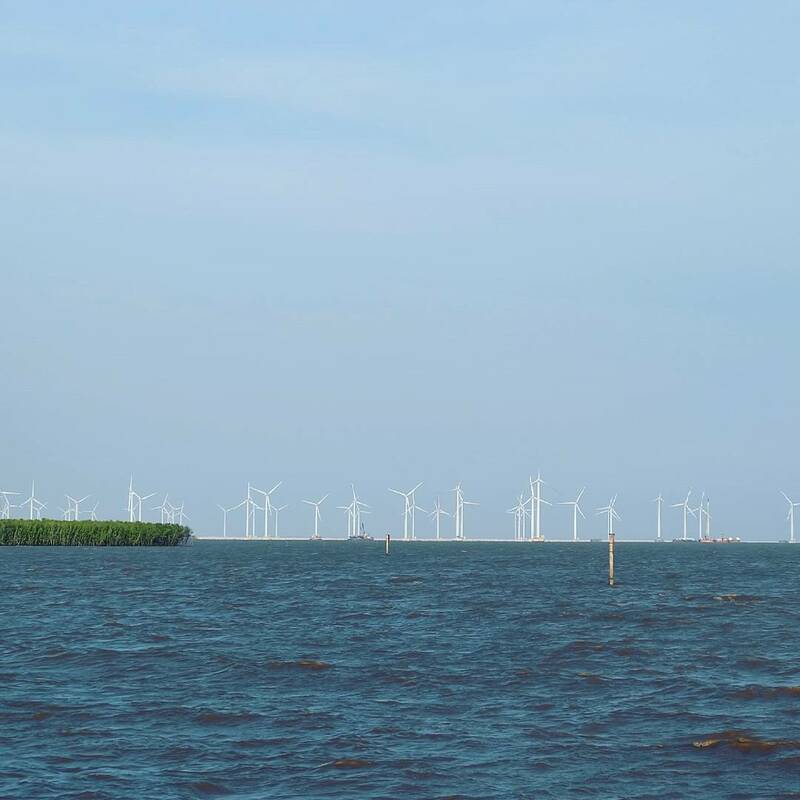 In addition, around the area of windmill field are mangroves making the region more charming.